Over the past several decades, China has boasted exponential economic growth to one day become the manufacturing and exporting hub of the world. Western economists have watched the past 20 years with dismay as the Chinese economy’s annual GDP growth rate averaged 10%. The common consensus from Wall Street to the Beltway was that at that rate China would soon replace the United States as the world’s largest economy. Some say Beijing already has. If you use GDP purchasing power parity (PPP), China edges out the U.S. with a GDP of $23.15 trillion to the United States’ $19.39 trillion. But while PPP may help costing, it excludes profits and doesn’t consider the different quality of goods among countries. 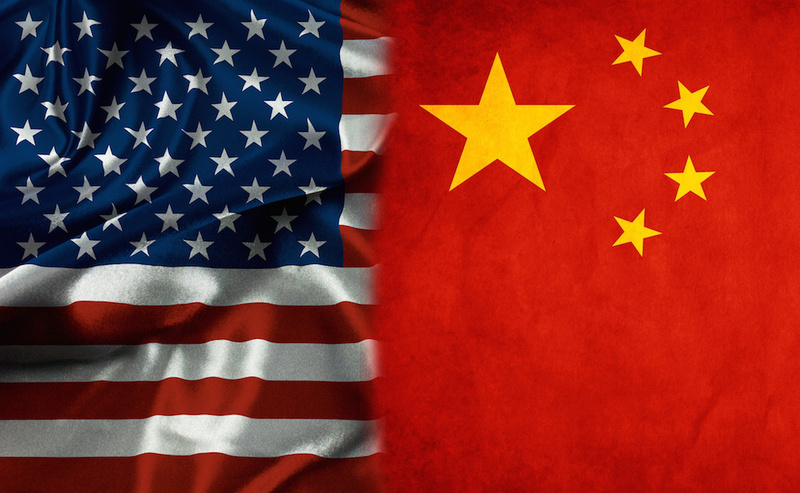 The best number for measurement is Nominal GDP, in which the United States still maintains a lead over the Asian giant: the United States’ $19.39 trillion economy over China’s $12.01 trillion economy. It stands to reason then, that it is only a matter of time before China surpasses the United States. However, in their optimistic forecasts of China’s economy, many economists overlook one crucial demographic variable that changes the entire equation: China has an aging population problem. China’s median age is forecast to increase to 56 in 2050, while the U.S. will have a median age of 44. Historically, the younger an economy’s population structure, the stronger its vitality for economic innovation. As the median age rises in China and the proportion of the population age 65 and over increases, the economic growth rate could plummet. In fact, China’s GDP growth slowed from 9.5% in 2011 to 6.6% in 2018. Certainly, some of the slowdown can be attributed to the ongoing trade war with the U.S., which hurts confidence and makes it less likely that consumers will spend. Again, one of the most important factors is China’s aging population. In Japan, the total fertility rate from 1950 to 2016 was 1.77 births per female compared to 2.33 births in the United States. This led to a faster aging rate in Japan. According to Yi Fuxian, a columnist with Ink Stone, Japan’s GDP growth has been lower than America’s since 1992 (excepting 2010). Japan’s nominal GDP rose from 8% of the U.S. GDP in 1960 to 71% in 1995 and then fell to 24% in 2018. China is on a similar path. Assuming China can stabilize its population growth rate at 1.2 births per female, China’s population will fall from 1.28 billion in 2019 to 1.08 billion in 2050. On the other hand, the U.S. population is expected to increase from 328 million in 2019 to 370 million in 2050. Perhaps most important, China’s working-age population of 20 to 64 began to shrink in 2017, while the U.S. working-age population will not peak until 2050. Crunching the numbers, China will come close but not overtake the U.S. economy. China’s population is getting too old too fast for its economy to ever meaningfully catch up without massive social reforms in the country. The biggest question, perhaps, is how will the Chinese economic slowdown affect China’s trading partners around the globe? According to the International Monetary Fund, China has been the biggest single contributor to worldwide economic growth for the past 10 years. A sharp slowdown instead of a gradual one could have severe economic implications in the West. China still supplies the West with a large percentage of diverse goods including iron, steel, aluminum, textiles, cement, chemicals, toys, electronics, railcars, ships, aircraft and many other products. An aging Chinese population could also cripple the relatively new Chinese middle class, making economic matters worse. As of 2012, 54% of China’s urban population earned between $9,000 and $16,000 per year. When adjusted for prices, that puts half the population squarely in the middle class. A nation’s economic power is the truest form of realpolitik and shares just as much prestige as a country’s military or diplomatic might. In terms of nominal GDP, the United States is still the world’s economic leader and has been so since at least 1916, when U.S. output overtook that of the British Empire. Based on the numbers, the U.S. is unlikely to lose its #1 spot anytime soon.